To hear him described out of context, it would seem improbable that the character of Wolverine would become such a comic book icon. 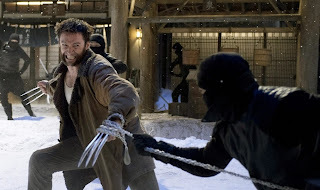 A short, woolly, middle-aged Canadian with metals claws that spring out of his knuckles and a hair-trigger temper, Logan, as he is also called, has surprisingly endured to become arguably the signature character of the X-Men comics and as portrayed by Hugh Jackman, the central character of the film series. Unfortunately, his spin-off film found him up against the one enemy he could not defeat: a terrible script. 20th Century Fox seems eager to try to erase the memory of that movie by giving us the standalone Wolverine film comic-book fans have been clamoring for: an adaptation of the celebrated limited series by Frank Miller and Chris Claremont that found him characterized as an unlikely samurai battling Yakuza and ninjas in Japan and again demonstrating he's the best he is at what he does.. 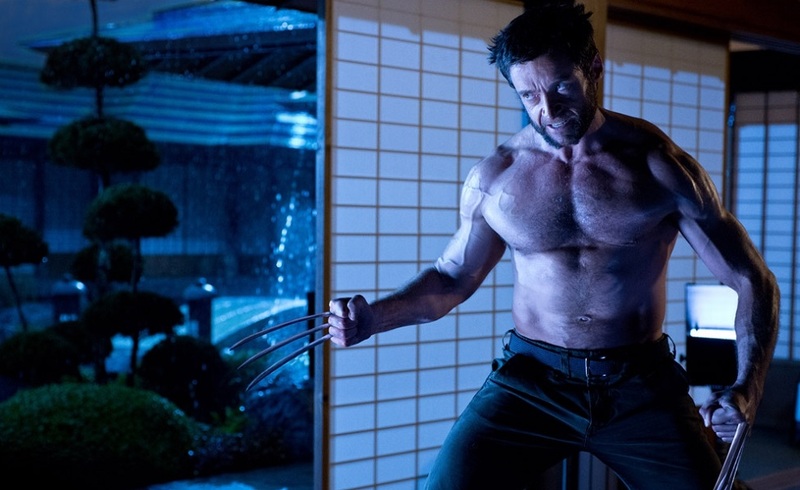 But as The Wolverine opens, we find Logan at a point where he doesn't want to do it anymore. The refusal of the filmmakers to retcon away the events of X-Men: The Last Stand, the third film in that series that I still feel gets unfairly maligned, leaves Logan haunted by the memory of Jean Grey (Famke Janssen), the woman he loved but was forced to kill in that film. 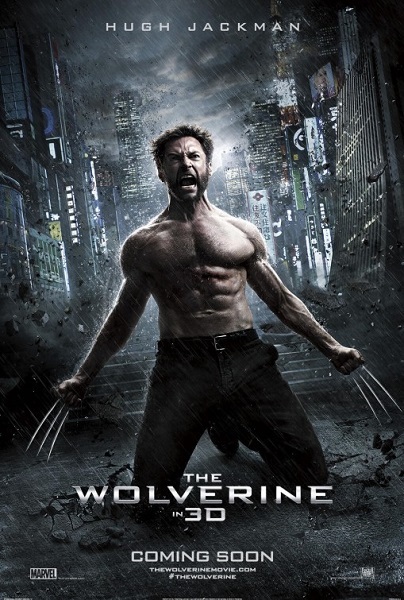 Having retreated to the wilderness to leave the mantle of the Wolverine and his fellow X-Men behind, his self-isolation is interrupted when he is summoned to Tokyo to visit dying industrialist Yashida (Haruhiko Yamanouchi), whom Logan had saved from the Nagasaki blast during World War II. Yashida is eager to repay the debt by offering to take Logan's life, or at least his regenerative abilities, giving him the chance to finally grow old and die peacefully. Despite his ennui, Logan isn't all that interested in the offer, but after Yashida passes away someone makes the choice for him and he finds himself somehow mortal and unable to heal from his injuries like he could before. 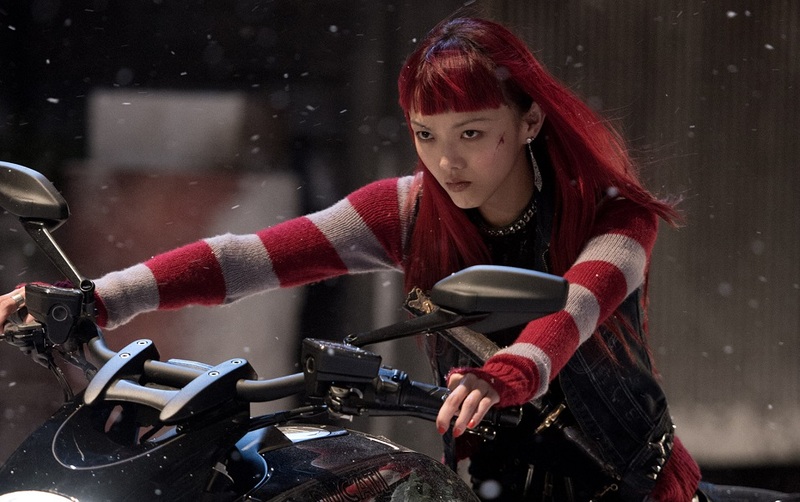 This change in circumstances becomes particularly troublesome when Yashida's granddaughter Mariko (Tao Okomato) becomes the target of yakuza gangsters and ninjas, spurring Logan to become her reluctant bodyguard as the two are pulled into the schemes and machinations of various factions connected to the Yashida empire. Given his popularity it's not surprising to see that Logan has become the real protagonist for the movies (with the exception of X-Men: First Class), with each story investigating a different aspect of the character by quietly framing a question about him. The first X-Men film seemed to be about what he is, not only his status as a mutant but where he stood in relation to his fellow mutants. The second film was about who he is, as he finally got some clues as to the mysterious past that he can never remember, while the third film focused on where Logan belongs, a question answered with the near-final shot of that film. X-Men Origins: Wolverine, for all its faults, investigated exactly where he came from, both in terms of his birth and the experimentation that turned him into the clawed loner we know. That's a long way around to say that The Wolverine frames its story along the question of what Logan is for. Up to this point, his primary occupation has been killing people, but killing Jean has soured him on bloodshed for the most part. Though he'll still cause trouble if pushed too far, he clearly does not want to be the fighter he was and that has left him without a compass, existing outside of the civilization he can no longer find a role for himself in. Thus, when Yashida offers him the chance to finally die, suggesting that Logan may have run out of reasons to live, the idea would seem to have an allure, especially given Logan's visions of Jean. Rather than the warm and caring woman she was, she serves as a personification of Logan's guilt and self-destructive urges as she seductively coaxes him to join her in death. But with Mariko thrown into jeopardy, we again see the alternate purpose Logan seems to have found for himself. Throughout the films, he's always managed to get put into the role of protector, usually for a woman. Granted, his record in this respect isn't quite as accomplished as his talent for killing. It was his perceived failure to protect Kayla Silverfox in Origins that pushed him into taking on the Wolverine identity in the first place, and his vow to protect Rogue and later the other students of Xavier's School bound him to the X-Men. Finally, his inability to save Jean has pushed him into the state we find him in. Thus, once Mariko's in danger, it's no surprise that Logan instinctively comes to her aid, putting his claws and berserker rage to good use. That's one element of the film that will no doubt please fans, as we get to see Wolverine cut loose to a much greater degree. The PG-13 ensures there's a lack of blood (at least for his victims), but Logan finds plenty of bad guys to get his claws into, particularly during an extended chase in the middle of the film that culminates in a delightfully ridiculous duel on the roof of a speeding bullet train. And while depriving a hero of his powers seems to be a standard trope for superhero films, here's it's a smart move. Making a character as tough and super-powered as Logan has been can have its drawbacks. With his ability to heal and his unbreakable skeleton, he's spent three films proving himself to be nearly invincible and this film addresses it head-on by describing Logan as virtually immortal. Stripping that away from him puts Logan in real danger this time out and makes his decision to put himself into harm's way that much more meaningful. The film also corrects one of the mistakes made by Origins by not indulging in the desire to stuff the film with as many recognizable characters from the comics as possible, something that became a huge distraction in Wolverine's last outing. The screenplay retains most of the main characters from the limited series it's based on but stays away from the colorful and recognizable mutants and super-powered folks of the X-Men canon with the exception of revamped versions of the Silver Samurai and Viper, both of whom are different enough from their comics incarnations that they might as well be original characters. By cutting down on cameos by other mutants, we get to enjoy more of Logan running around in a world a bit closer to the one we know. Unfortunately, in their place, screenwriters Mark Bomback and Scott Frank thrown in a murky maze of supporting characters and their conflicting plans, many of which seem extremely unwieldy upon reflection. Besides Logan and Mariko, there's also Shingen (Hiroyuki Sanada), Mariko's ambitious father with his own plans for the Yashida legacy, Harada (Will Yun Lee), a mysterious ninja who operates at the periphery of the action, and the sinister Dr. Green (Svetlana Khodchenkova), Yashida's statuesque physician who seems to be pulling many of the strings. As the connections between the participants are slowly (and sometimes clumsily) revealed and the double-crosses start, it gets a bit tricky to sort out everyone's game amidst the rush of the numerous action scenes. Thankfully, genre-hopping director James Mangold seems to sense some of these problems and makes sure the audience has a solid anchor in Jackman, without whom the whole enterprise would be meaningless. From his first scenes in the original X-Men, he has inhabited the character completely, distinguishing him as a more worldly and grounded warrior than his comic book counterpart while touching on all the essential traits that comic fans have grown to love. He particularly brings a startling, almost animalistic physicality to it. Just watch any scene where he enters a room, his eyes warily taking in everything as though he's expecting an attack at any second. He's also clearly put in the work to get in shape, as he's muscular to the point where he seems about to burst and spends much of the film shirtless to show it off, something many viewers will no doubt approve of. Pleasantly the story contains some decently strong roles for women, starting with Mariko. Initially, she appears to be a very passive character, bound by her culture's custom to fulfill prescribed duties as a daughter and granddaughter and counted on by some of the villains to be someone they can manipulate. As things progress, we see the serene strength she possesses and which finds expression as she begins defying expectations. Okomato exudes a quiet understanding and courage in the way she sees past Logan's fearsome and nearly feral nature to the good man struggling beneath. Oddly, the romantic aspect of the story is somewhat muted, to the film's credit. While an understanding and a bond forms between the two, their relationship is never pushed to such romantic extremes that it feels forced. Dr. Green is a bit more problematic. Despite being having a pivotal role in the story, she's never very well-defined in regards to her motives and the creepy abilities she displays are inconsistent and random . As such, she emerges as just an empty femme fatale, a problem not really helped at all by Khodchenkova's flat performance. Sanada does a decent job as Shingen and the script makes a noble effort at giving him a bit more motivation than might have been expected, but Lee is never given enough material to allow us to get a grasp on Harada much less care about him. The film's best and most interesting character, besides Logan, is easily Yukio. Clad in a garish, punk outfit (which I wouldn't be surprised to see as a cosplay staple in the future), I was initially worried she was only there to fulfill some sort of quirky-female-ninja fetish for comic fanboys. Happily, there's a lot more to the character and Fukushima, in her feature debut, is up to the task, both in terms of acting and holding her own in the action scenes. 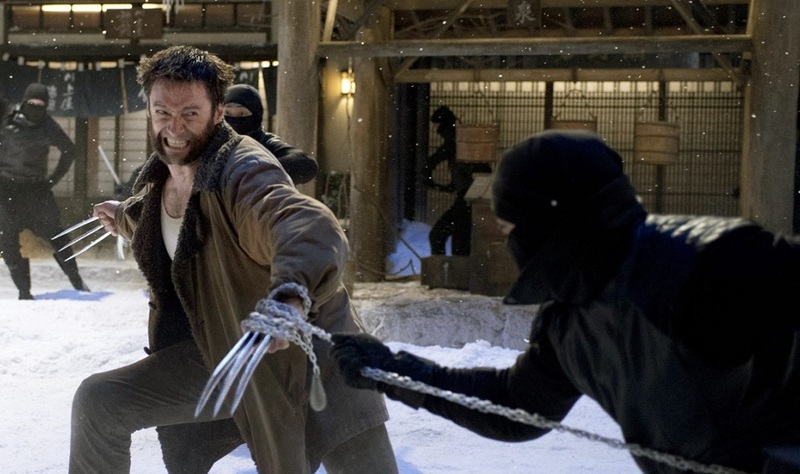 Though in the comics, the character bonded with Logan though their shared taste for danger and thrills, onscreen Fukushima connects with Jackman on a more somber level and becomes a full-fledged partner in the adventure. 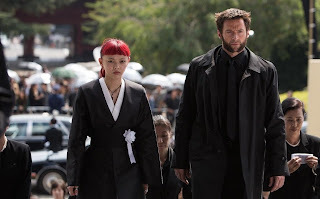 When sent to retrieve Logan from his self-imposed exile, we immediately sense Yukio's respect for him as a fellow warrior, but her status as a mutant also makes her as haunted by death as he is, though from an opposite perspective. While Logan is troubled by the deaths in his past, Yukio is troubled by deaths yet to come, as her mutant ability of limited precognition allows her to see the impending passing of others. I only wish there had been more time to develop her previous friendship with Mariko, which we get the barest sketch of. Immediately upon seeing it, the first impulse is to determine where it ranks within the series as a whole, but the only grade that matters to me is that despite its flaws, it is a definite improvement on Origins and it proves that there are still interesting places for Logan to go. That's pretty important considering the character is all set to lead next year's X-Men: Days of Future Past, which will adapt another classic story from the original comics to the big screen. Yashida was wrong. So long as these movies keep bringing in audiences and big opening weekends, the Wolverine will always have a purpose. Oh, and I probably don't have to mention it, but just in case: don't leave right as the credits start, as we get one more mid-credit scene that pushes this movie's stock up by a few points. We'll get into that and a few other points in the SPOILER entry.